For Kevin Pietersen to publically state that England players were indeed terrified of Johnson and hated Warner gives away some of his former team's most significant dressing room secrets. The fallout in English cricket continues with Kevin Pietersen`s explosive new book. What does it mean for Australia in next year`s Ashes? There have been many opinions from the cricket world on Kevin Pietersen`s controversial book launch this last week. It has been fascinating, as a cricket tragic to see what people more qualified than me have to say, which is of course is what dear old KP wants. I don`t think he will have to worry about book sales and Michael Clarke will no doubt be reading and re-reading it for some additional insight into all the chaos on England`s ship with the 2015 Ashes defence fast approaching. The most sensible viewpoint comes from the charismatic and underrated former England bowler Matthew Hoggard. Hoggard shared many differing dressing rooms during his successful England career including the rebirth of English cricket (something which KP doesn`t seem to elaborate on) in the mid-2000s and said quite rightly that there is never going to be complete harmony in a dressing room. Hoggy put forward that if there is a niggle, sort it out in-house over a beer. That is what he did with KP in 2008 and they got on fine thereafter. Hoggard added that if you are one of the best 11 players in the country and privileged enough to represent the jersey then standards have to be at their highest. If these standards start to go in the field then the powers that be have every right to act upon it, however vociferously. Aggressive bullying, which KP has so dramatically claimed Andy Flower and Matt Prior in particular indulged in, is a strange accusation for such a colorful character like Pietersen to make. To highlight the supposedly intimidating tactics by England teammates on each other, especially in Australia last winter, smacks of revenge and desperation around his axing. I have lost count on how many times I have dropped my head in shame having shelled a dolly in a game of village cricket (both in Australia and England). I have copped many an almighty bollocking from an exhausted and hung-over bowler as well as a death stare or two from the skipper. The only victimization I felt were the alcohol fines given out during post match drinks. I dread to think how angry Allan Border or Nasser Hussain got when a slip catch went down. Can you imagine the likes of Shane Warne or Ian Botham shaking the hand of a fielder who had just dropped a catch off their bowling and saying, “well tried old boy, they are never easy? Indeed, Warney made it quite clear that he had his differences with a number of players and coaches during his illustrious career. These included John Buchanan and Steve Waugh. But he never tarnished what he and the team achieved throughout those respective eras. Generally conflicts on and off the field were kept within the confines of the team environment. Everyone knows that KP is not the shy, retiring type. He has always been an expressive character that has captivated, frustrated and thrilled cricket fans since his spectacular introduction in 2005. In KP`s defence Andy Flower, to the naked eye, did not come across as an inspirational coach. The same goes for the likes of Matt Prior and Graeme Swann. At times Prior did resemble a teacher’s pet. However, Prior was no different to an Ian Healey in his pomp; never short of a word or two but always with the best interests of the team at heart. Prior`s record during England`s ascent up the rankings was no coincidence; he backed up his talk with performances. Swann perhaps divides opinion now since he walked out of the team halfway through the last Ashes series, but he was the first one to take the mickey out of himself and seemed to make players relax rather than cower. Prior was the main instigator in getting KP back into the team after the infamous Textgate’ scandal, so KP making these bullying comments now seems even more ridiculous. 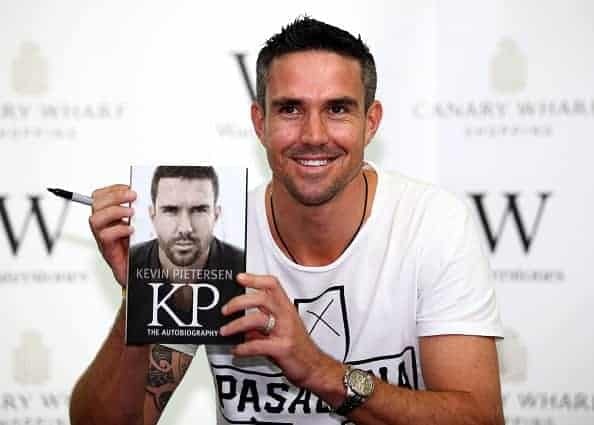 One cannot help but feel that this book could have been a riveting read because love or loathe him, Kevin Pietersen has accomplished so much in his career. Take his account around growing up in South Africa to then making the tough decision to move over to England and what that entailed. That gives the reader a proper insight to what KP has gone through and achieved. The reality is that Andy Flower, Alistair Cook and, latterly, the new managing director Paul Downton got things wrong during the last Ashes series. However, for KP to come out with these attacks is demeaning to what everyone associated with the English cricket team has achieved (including KP) over the last 6 years. An already dire situation could have been less explicit if KP, Cook and Flower sat down at the end of the series and had a constructive conversation. Thanks to the infernal presence of social media, most of the talking over the last few years has been done in public and not by the traditional behind closed doors method. Having a focused Kevin Pietersen in the England set-up to help Gary Ballance and Joe Root through to the end of 2015 Ashes series would surely have been the ideal scenario. There is no doubt that KP, with the right management support to go in tandem with his experience, would only help young players making their way in the international game. Yet, here we are just under a year since that Ashes debacle and English cricket is worse off than it was at the end of the Sydney test. With the much-anticipated Ashes series taking place next summer, Australia must be heavy favourites. If I were Dave Warner and Mitchell Johnson, I would be chomping at the bit to get over to England next year. For KP to publically state that English players were terrified of Johnson and also hated Warner was to give away some of England`s most significant dressing room secrets. It could be argued that Australia go over the top when it comes to sledging, but they won`t back down when they see Cook and Anderson at the crease in the 2015 Ashes series. Having played so brilliantly for the majority of his 104 tests, what a shame Kevin Pietersen`s legacy as one of England`s finest ever cricketers has ended so bitterly.